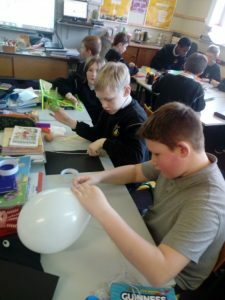 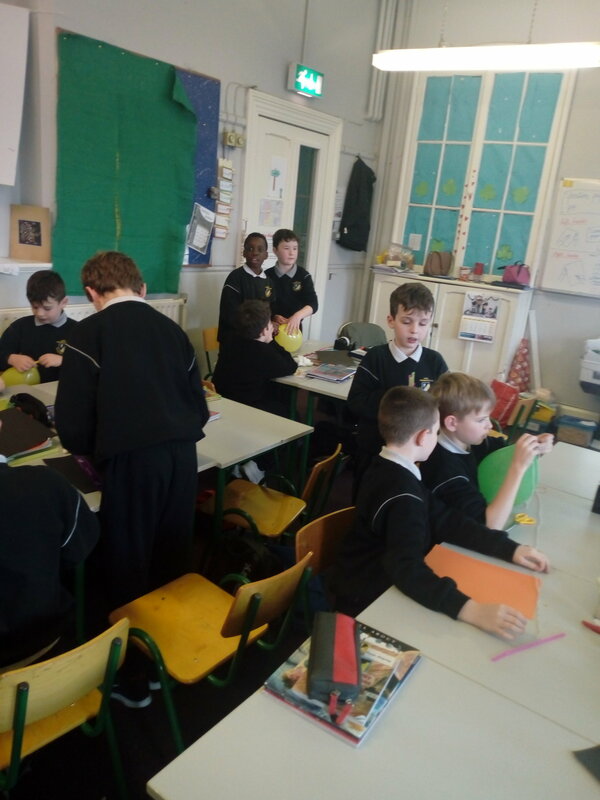 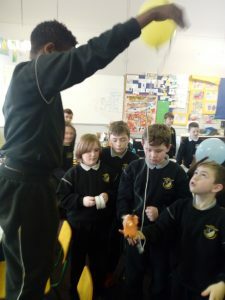 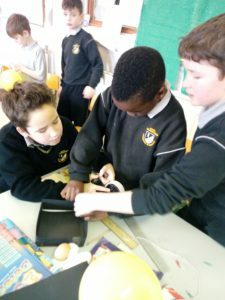 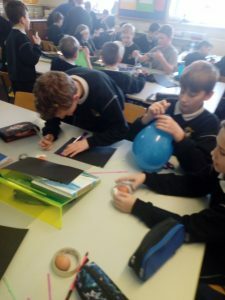 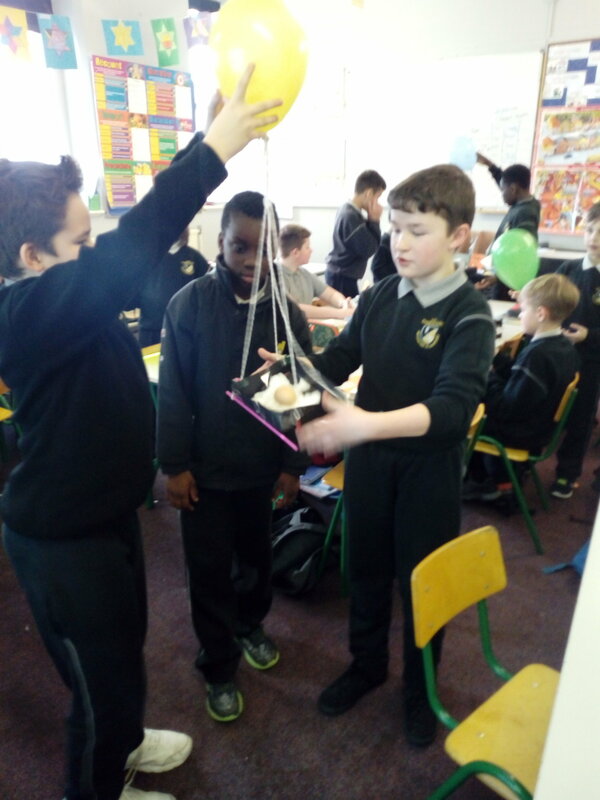 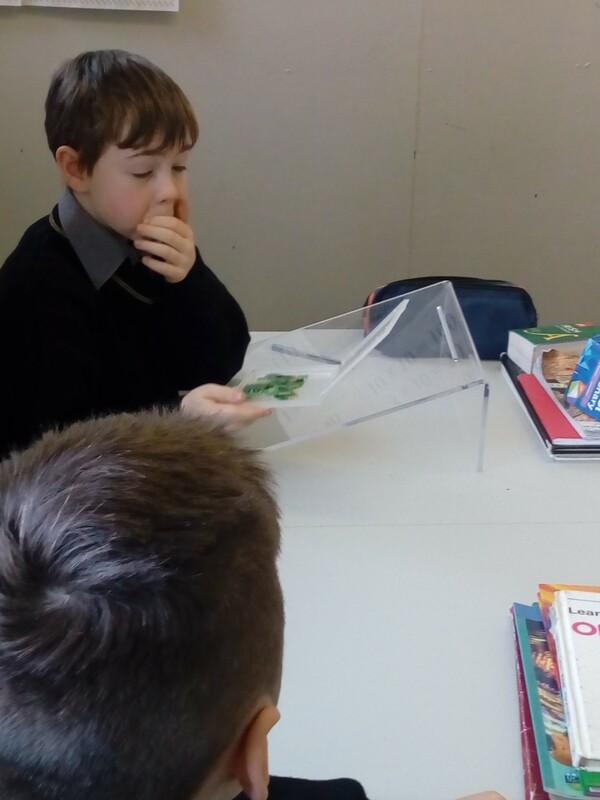 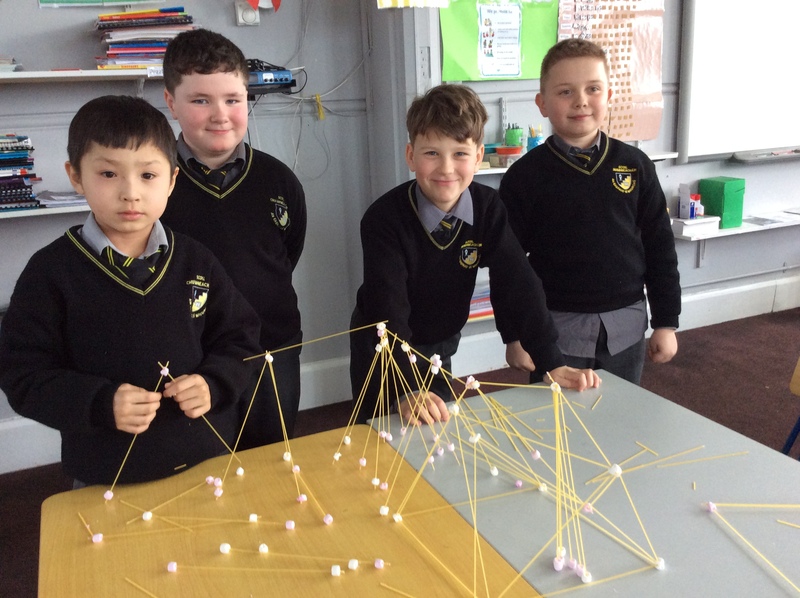 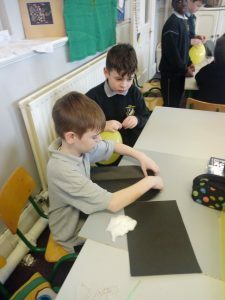 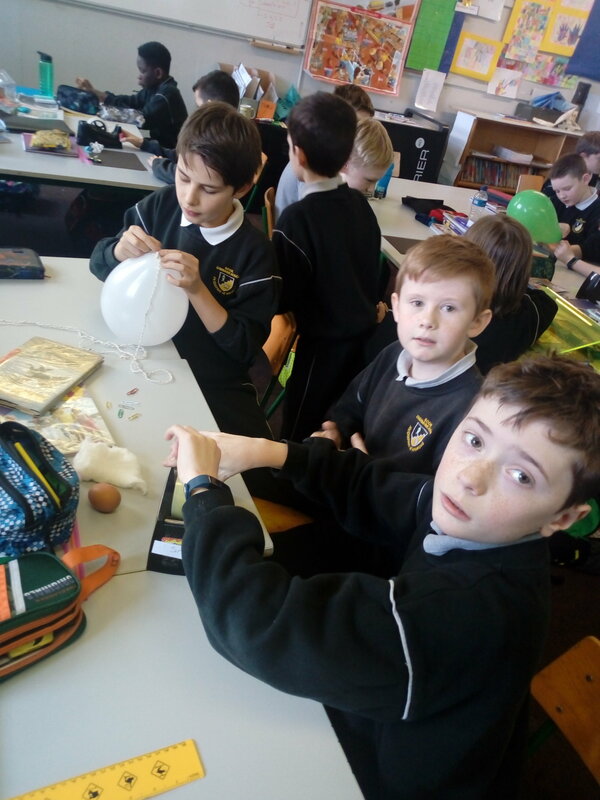 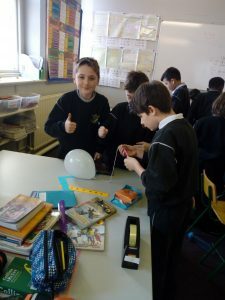 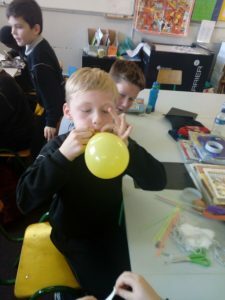 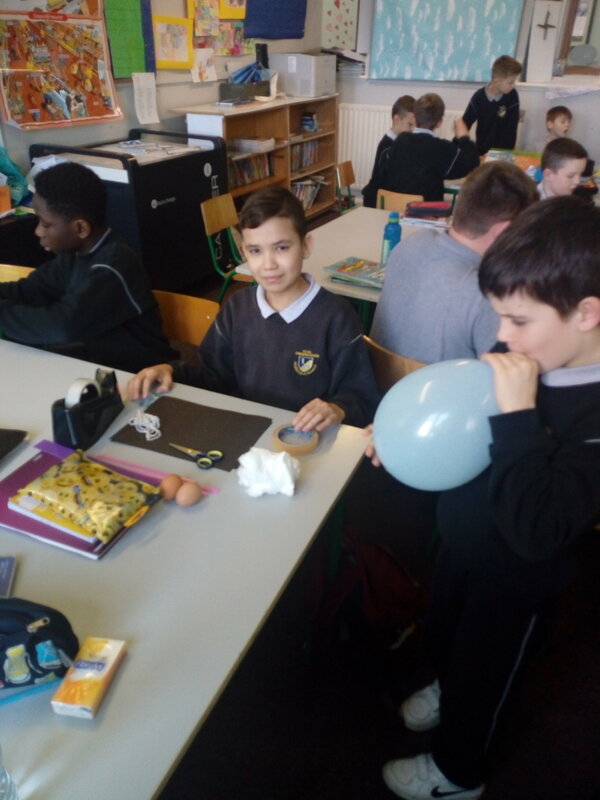 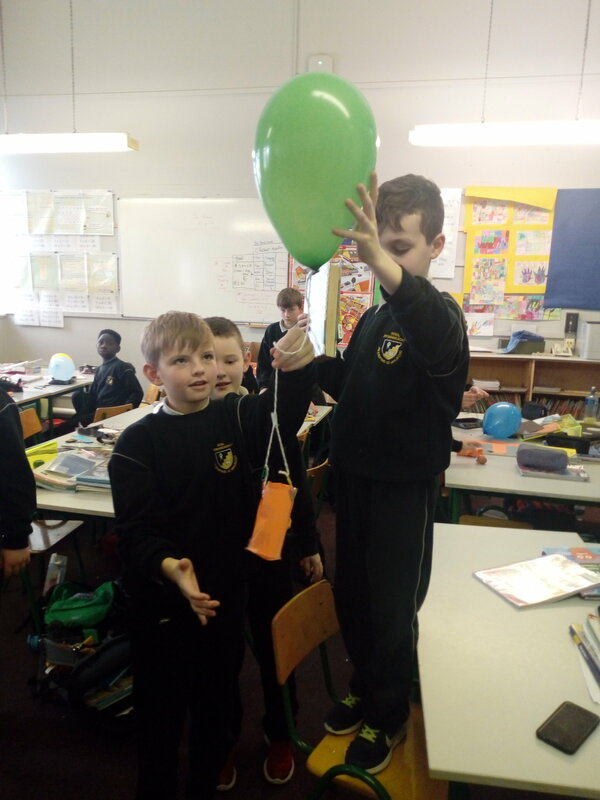 The Scientists of 4th/5th class were busy exploring the force of gravity. 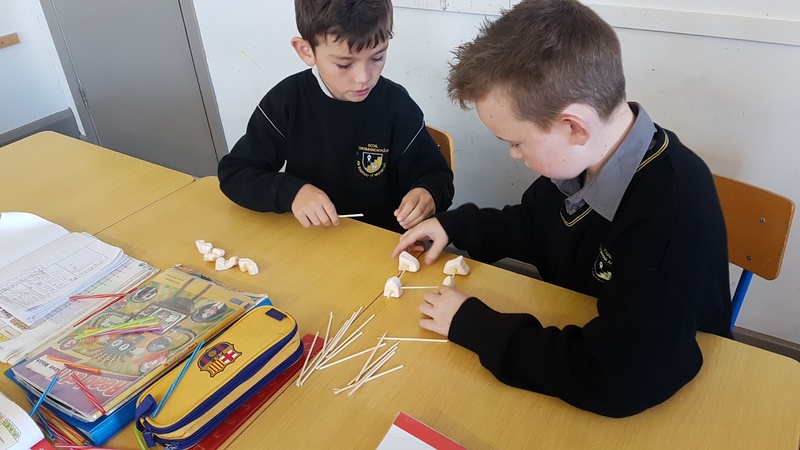 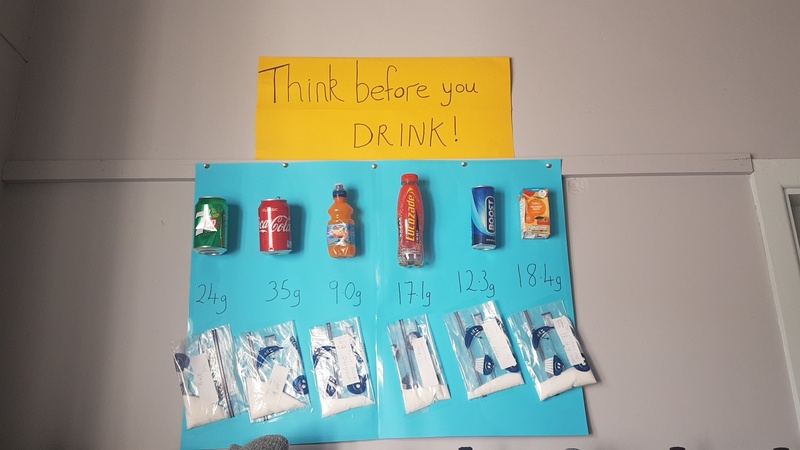 As part of the Junior Entrepreneur Programme the class was required to work effectively in small teams whereby each student would take on specific roles/tasks. Each team was assigned a Science experiment and their objective was to plan, design and make a sturdy shuttle using card, string, paper-clips, cotton-wool and a balloon. Once each shuttle was built, each team was given an egg (hard boiled to avoid mess!). 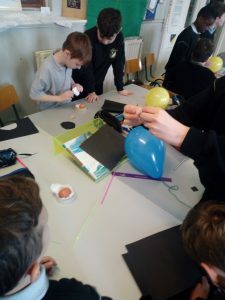 The egg was then placed inside their shuttle before it was released from a launch height of about 5 feet. The best shuttle was determined by the egg that had the safest landing with no cracks to show for its journey! 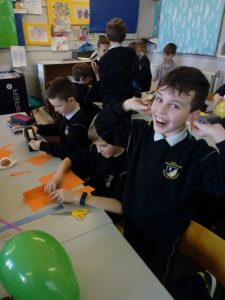 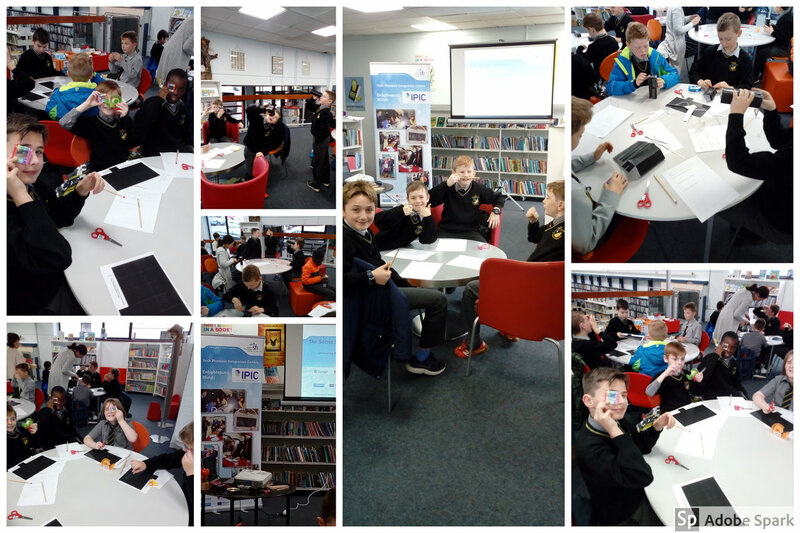 🙂 We had great fun doing the launches at the end of the lesson so here are some of the best photos taken on the day.